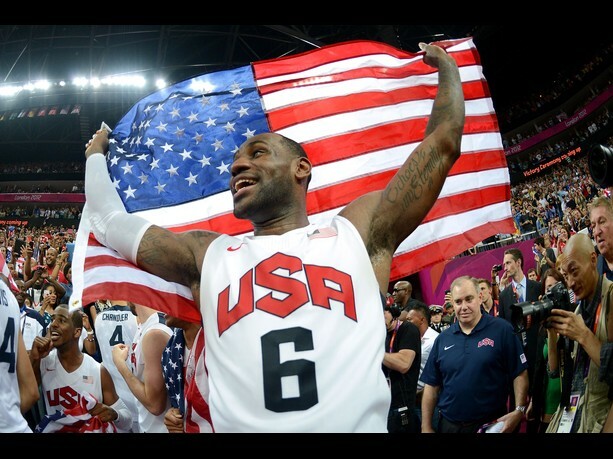 London 2012: LeBron and Company Capture Olympic Gold ~ Roundball Manor - The House that Basketball Built. It didn’t take long for people to realize how great LeBron James was this past NBA season; MVP, Finals MVP, World Champion. After two years of media scrutiny, King James finally received the credit and title he deserved: greatest basketball player on the planet. No longer could people complain about his move to Miami, his game on the court, or anything in between. King James had arrived. So when LeBron registered the first ever triple double in an Olympic Game last week, it came as no surprise to anyone. This team was his, and it was going to go as far as he would take it. 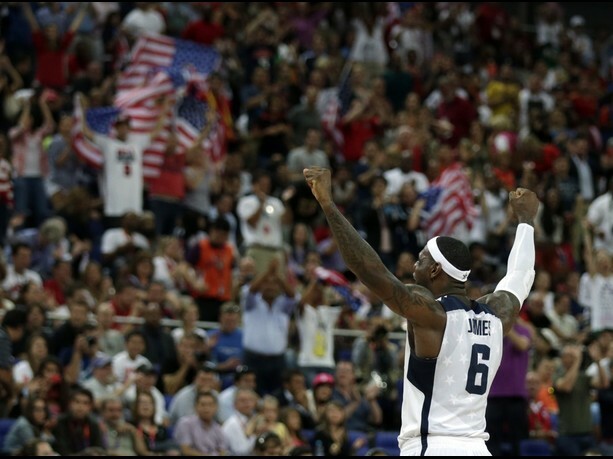 Yesterday he continued his dominance as he led Team USA to another gold medal against Spain. When the game got close at the end of the third quarter, King James took over. When the game got close again in the fourth quarter, LeBron hit a huge 3 pointer over Marc Gasol. He was able to dominate on offense, but did it without having to score. His elite passing skills and command for a double team left guys like Carmelo Anthony and Kevin Durant wide open every game to go on shooting sprees. He opened the floor up and made it possible for an undersized team of scoring forwards to become an elite team of unguardable players. James wasn’t the only dominant player; the entire team deserves credit as they all came together at the right time to bring home the gold. Kevin Durant broke the Olympic scoring record as he put up 156 points on 34-of-65 shooting from three point range this tournament, also breaking the record for most threes made and attempted. Carmelo Anthony also shot the lights out, going 23-of-46 from deep for the tournament, hitting a cool 50% of his threes. Kobe Bryant got hot in the knockout round and took over for stretches. The point guard play of Chris Paul, Deron Williams, and Russell Westbrook applied pressure to every opponent’s backcourt, starting up endless fast breaks and keeping momentum in our favor. Kevin Love played the role of unsung big man, fighting in the paint for rebounds and loose balls and locking down opponents. Together as a unit this team was able to go 8-0, averaging 115 points a game with a 34 point scoring margin. They may not have been the ideal team on paper, but they made it work by utilizing their strengths and playing as an unselfish unit. Together, they accomplished their goal of bringing the gold medal back to the USA. It also helped having the best player on the planet.